Zeltiq Aesthetics Inc. completed their IPO and is now a publicly traded company. Zeltiq is the manufacturer and markets the CoolSculpting system, the first clinically effective non-invasive fat reduction system. What does this business event mean for doctors and patients? The big benefits stem from the new large influx of money, which will allow the company to put a lot more into research and development. Right now applicators are principally designed for the trunk (abdomen and flanks). There is some off-label use elsewhere but only in isolated cases. An example of this is treating the male chest. With more research we can hope for two things. First, new applicators to allow treatment of other areas such as thighs. Second, refinement of the cryolipolysis process with more substantial clearance of fat. 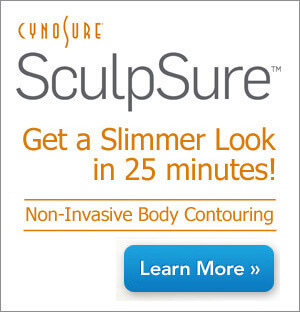 Current treatments typically produce a 20 % reduction in fat thickness with a single application. This is a very satisfying and noticeable result for most patients but not really competitive with liposuction in the amount of fat reduction. If the effect could somehow be amplified, to say 40%, by tinkering with the cooling parameters or in some other way, a single treatment, while still less than liposuction, would be much more dramatic…and non-invasive with no recovery. Can they do it? No one knows at this point. But remember, this is the company that performed a very methodical, scientific development effort to bring us CoolSculpting in the first place. Here’s to Zeltiq’s success on the business side and best wishes for success on the research end so we can all thin down those bulges non-invasively even faster than before.